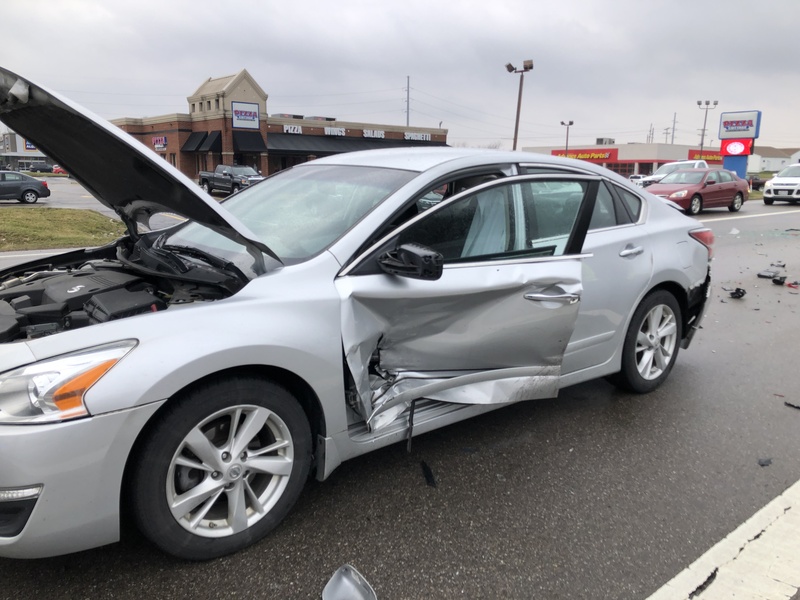 CIRCLEVILLE – An accident occurred around 4:15 pm on March 25, 2019, at Goodchild rd and 23 South, witnesses are saying that they tried to stop the driver before an inevitable accident happened. According to witnesses that were driving southbound on 23 about 20 minutes before the accident, they saw the driver Logan Frum, from Coolville Ohio operating his Chevy Impala erratically miles before the crash happened and called 911. 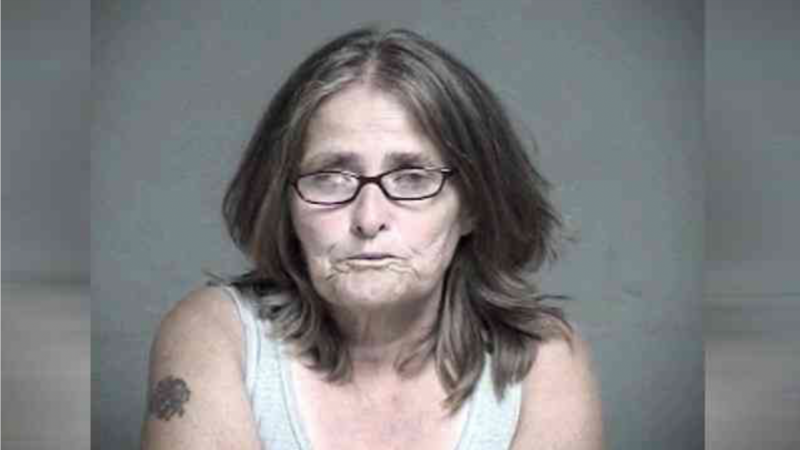 Margo Moore of Circleville also saw the driver by the jail in Circleville when he went off the road and hit the sign. 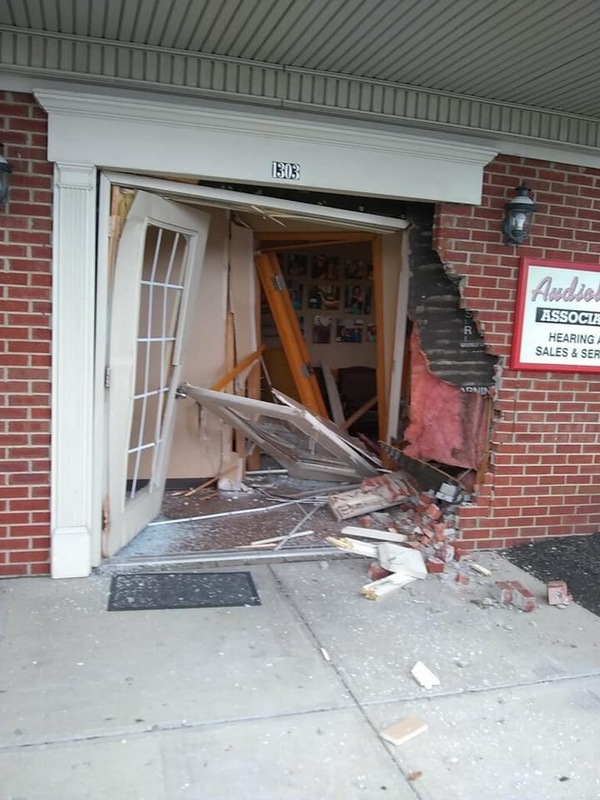 She claims she attempted to call 911 and couldn’t get through. 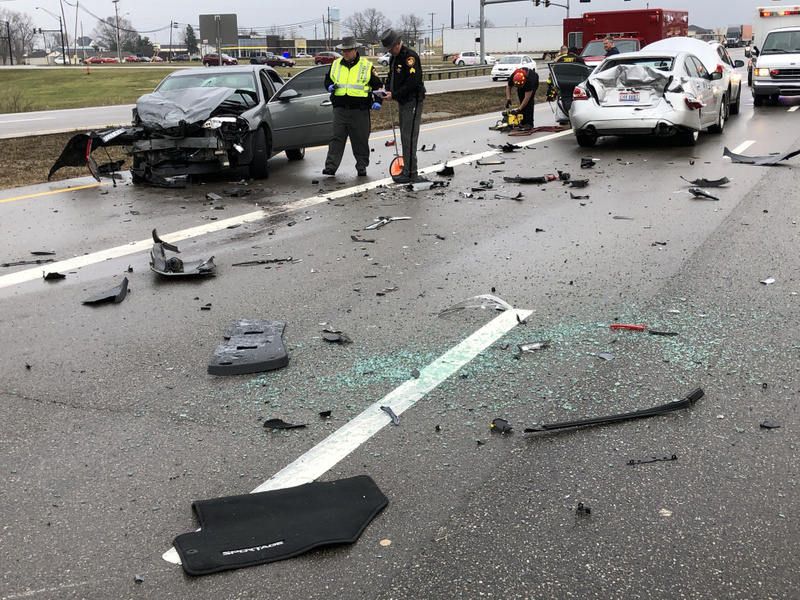 Pickaway County Sheriffs on the scene confirmed the multiple 911 calls and were in route to intercept the driver when the accident occurred. 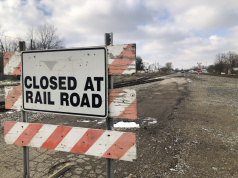 They also confirmed that he had gone off the right side of the road close to the Pickaway County Juvenile center and took out one of the legs of the sign. They also had a report that the driver may have run into the back of a semi driver, no semi driver came forward with a , but that is what one of the witnesses had said. 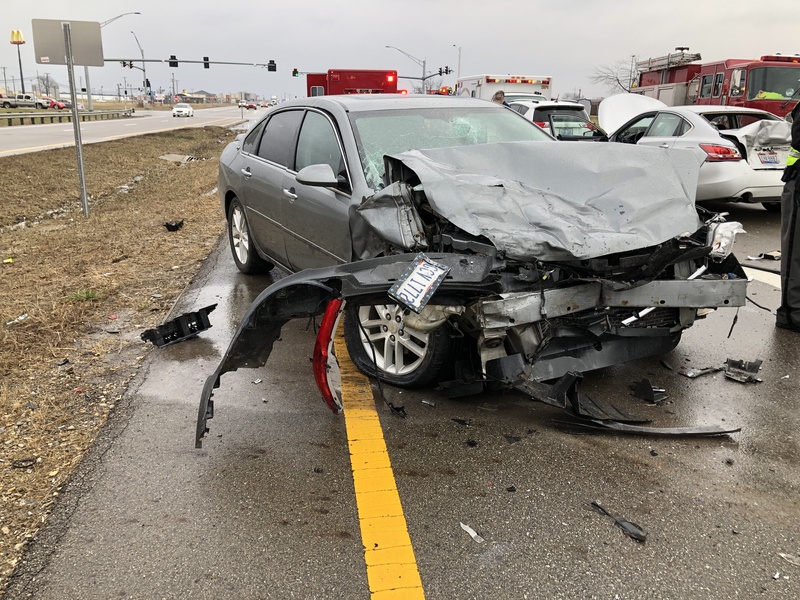 According to the Pickaway County Sheriffs on the scene the driver of the Grey Impala Logan Frum, from Coolville Ohio, (82 miles away) failed to yield to stopping traffic at the red light intersection of Goodchild Service Rd and 23 Southbound. Early reports say that he barely braked or didn’t break at all when he hit the first car the blue Kia Sportage, and even though he did extensive damage to the drivers rear of that car his car had enough velocity to push that car out of the way and slam into the second car the Silver Nissan Altima, the Altima then hit the backside of another car a white Toyota Rav4. 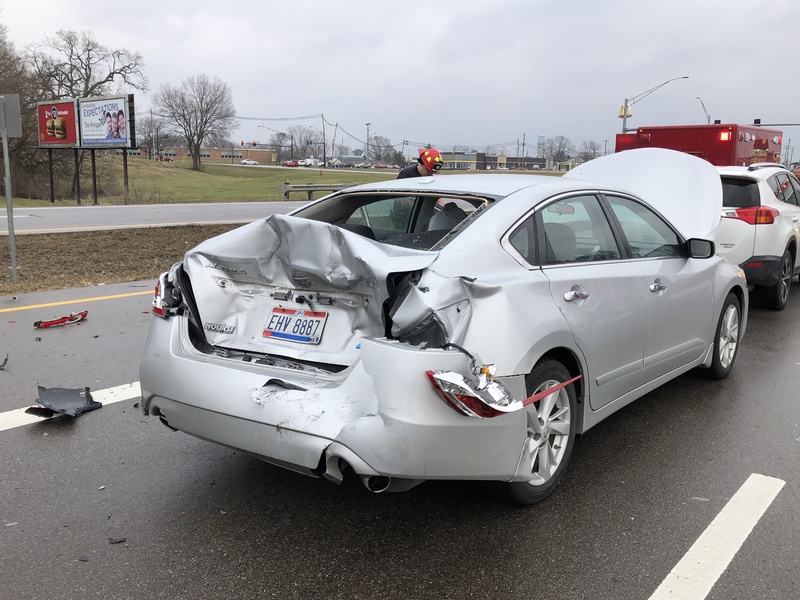 The Altima was hit hard enough that the fire department needed to use the jaws of life to open the driver’s door. 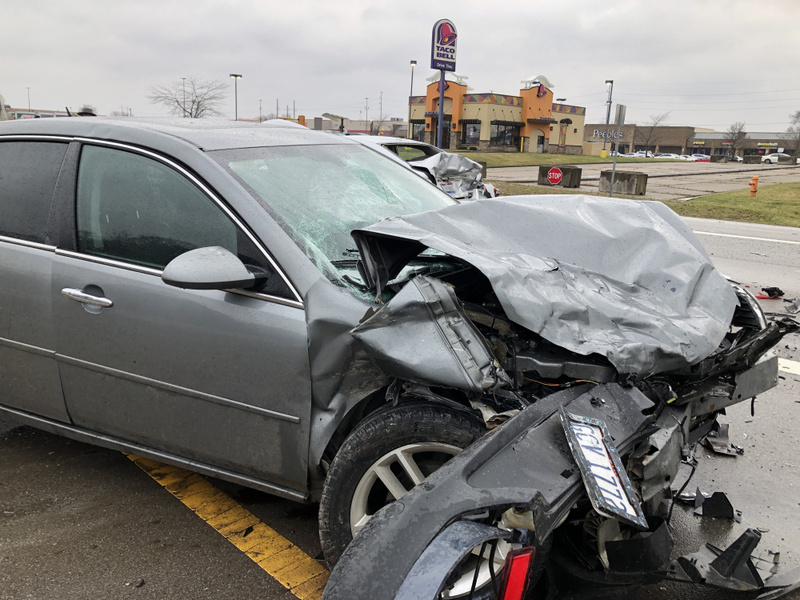 In the police report, Logan Frum driver and single occupant of the Grey Impala was transported to Berger and then Medflown to Grant Hospital in Columbus Ohio in Critical Condition. 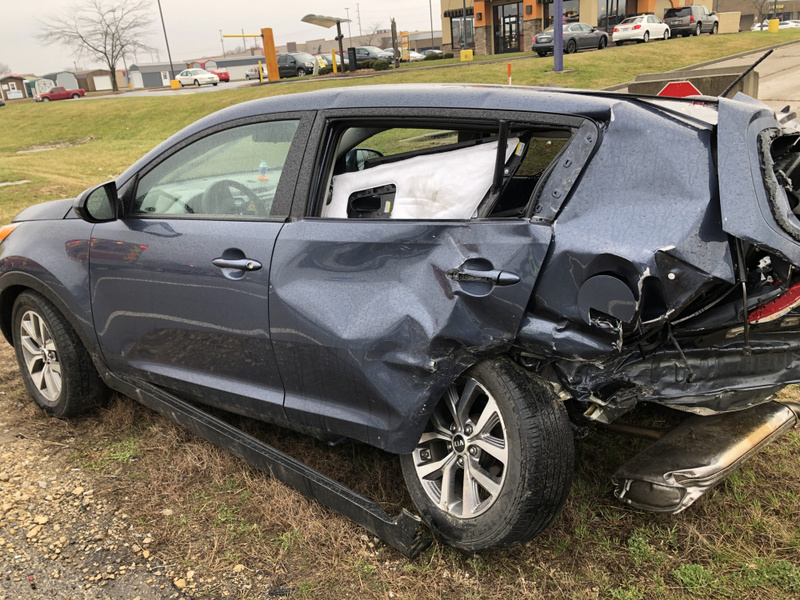 The sole occupant of the Kia was transported to Berger with minor injuries and has been released. 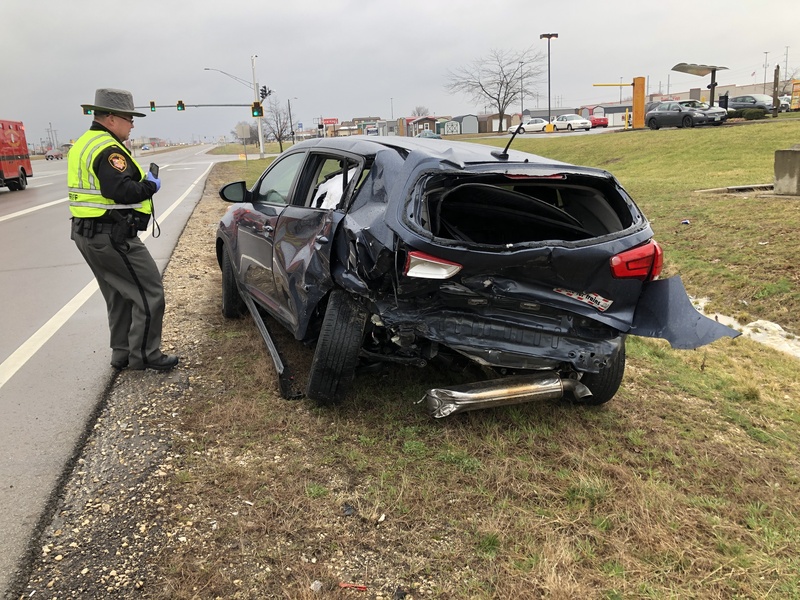 Two occupants in the Nissan were transported to Berger with injuries, and two drivers in the Toyota were not injured and released at the scene, they were able to drive away as the damage to their car was minor. 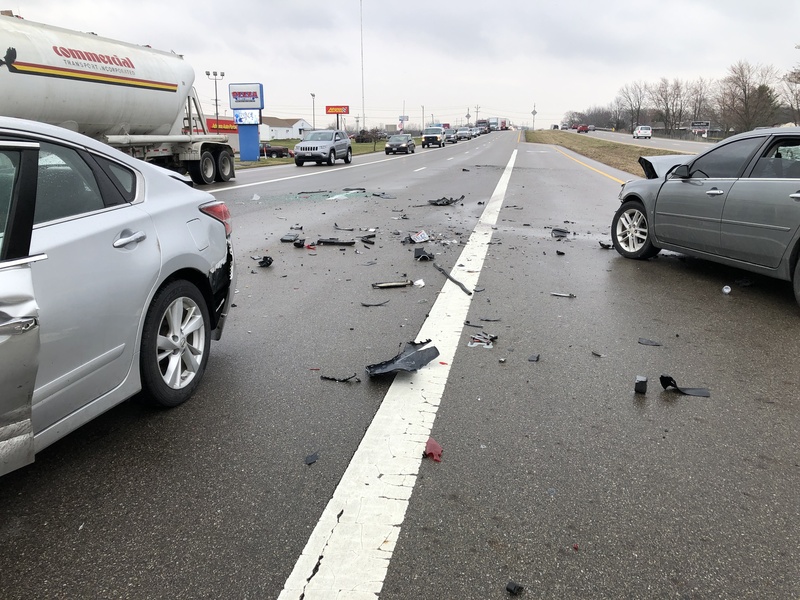 All cars in the accident were in the right straight lane behind the Nissan. 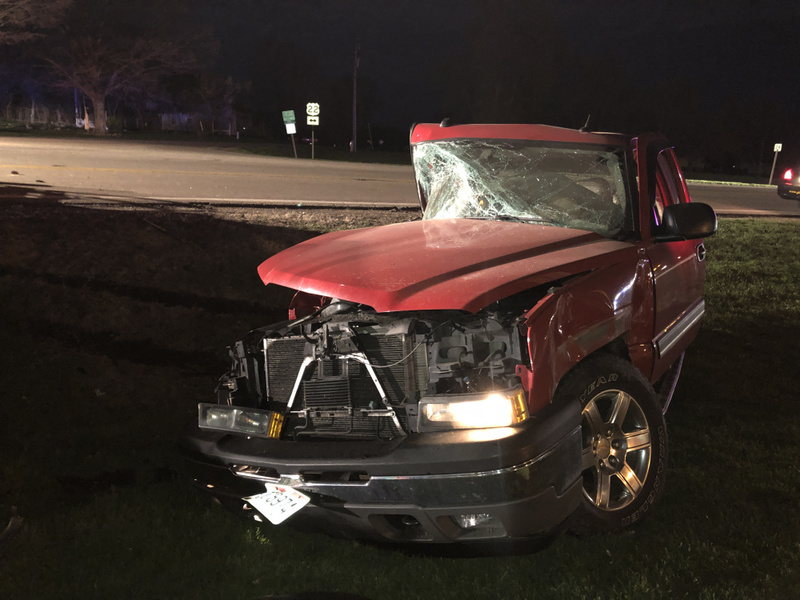 Police will charge the Grey Impala Logan Frum with the accident, an investigation is ongoing, and more charges are likely to follow. 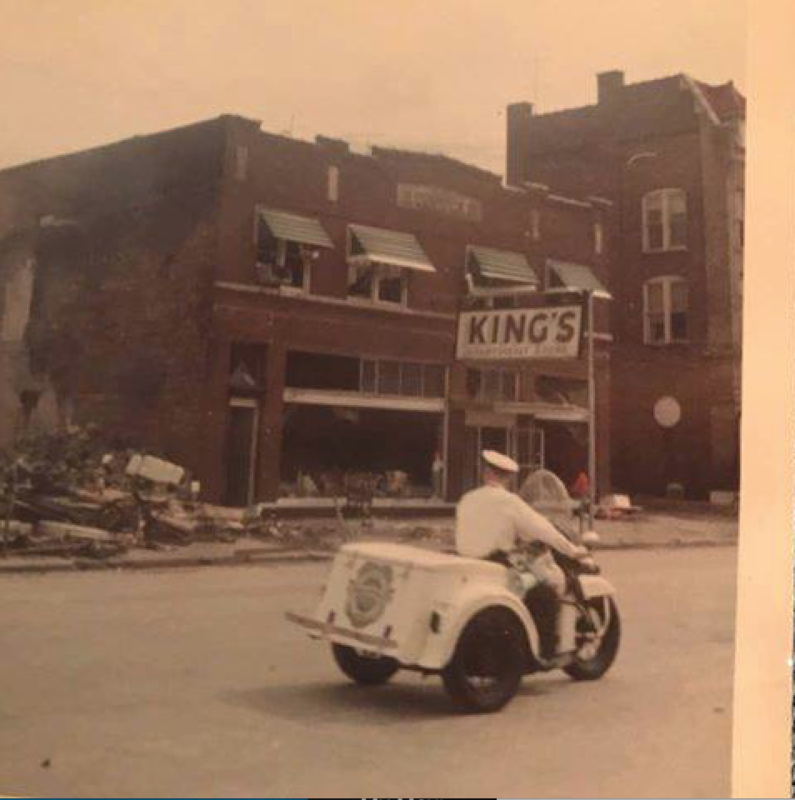 According to witness on the scene, they believe he was under the influence, but police could not expand on that at this time, but we will update everyone when those charges and information is released. 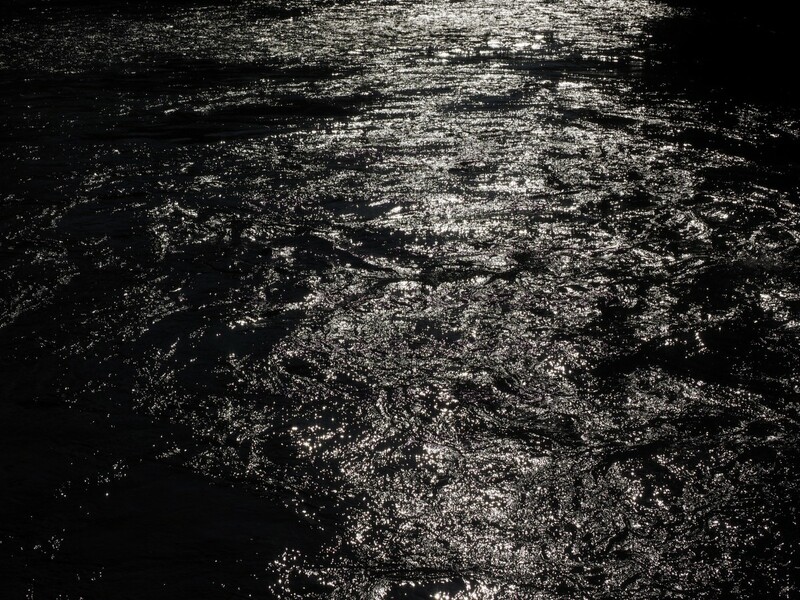 Circleville Fire, Pickaway Township, and Pickaway Sheriffs were all on the scene.